I still haven’t decided where to go on my trip. 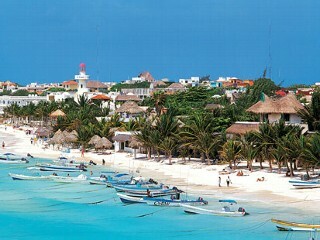 I want to explore the Yucatan as much as possible in nine days, but I also want some relaxation. With the job promotion, all work and no play has left Deb a pretty dull girl. So, I’ve checked some hotels and googled some locations…and still can’t commit to anything. After some consideration of renting a car at the Cancun airport, I decided against it after reading some pretty bad reviews. I still think I will rent one, but at a location other than Cancun. 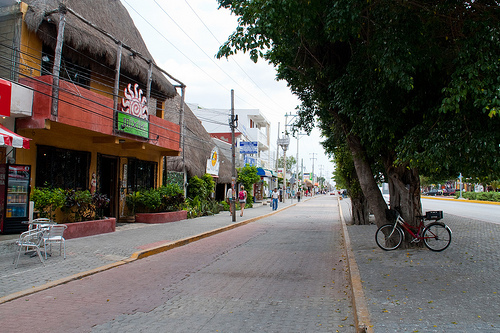 I will probably continue my tradition of heading first to Puerto Morelos for just two nights. I like the fact that it’s only a 20 minute ride from the airport and it’s so laid back and quiet. 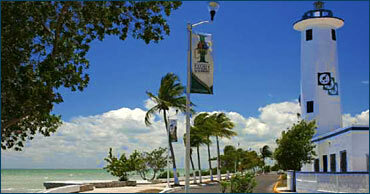 PoMo definitely has a charm to me, not to mention their great snorkeling reef. I could use some snorkeling about now. After that, I’m just not sure. When Border’s bookstore was closing in Austin, I found a map of the Yucatan for just a couple of bucks. There are so many areas in the peninsula where there is nothing…with small towns sprinkled in between. 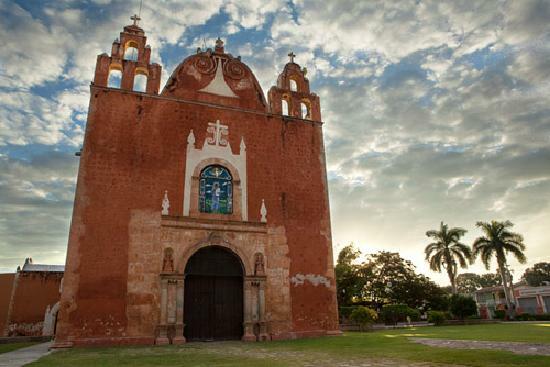 In my last post, Helen commented that I should consider Izamal. I Googled it and found that all the buildings in this town are painted yellow. That certainly would provide some great photo ops. I would like to see both of these places, but their distant locations will probably prohibit visiting them on this round. 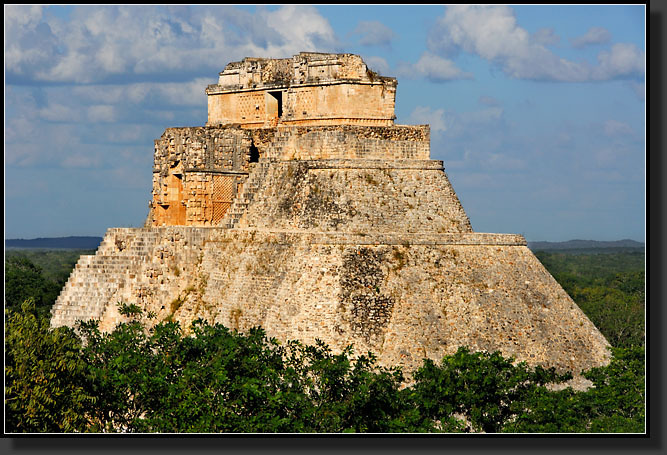 Close to Uxmal is a little hotel called the Flycatcher Inn. It looks like a pretty unique place, but I would definitely need to rent a car if I stayed there. 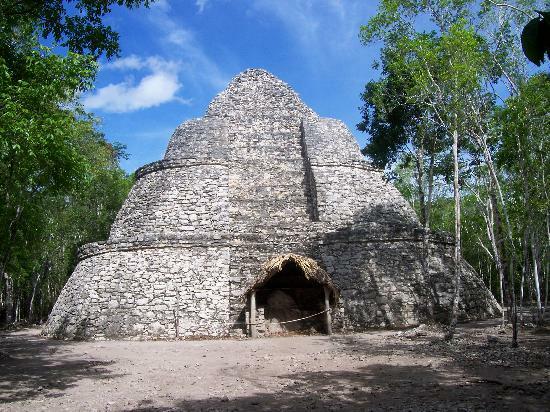 I’m also thinking it may be too hot to go traipsing up three different ruins in the Yucatan. After just one, I might call it a day. 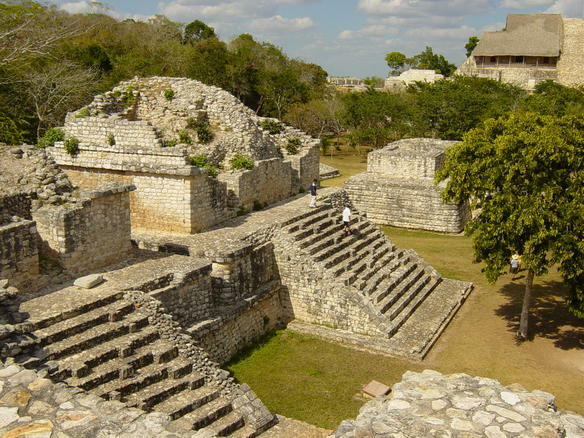 Or they may find my body at the top of Ek Balam as a personal sacrifice to the sun god…haha! Even though it will be hot in August, one good thing is that all of the hotels have vacancies because it is the low season. So even if I don’t commit to anything before I leave, I won’t have to worry about not having a place to stay and can just play things by ear. What an adventure! This entry was posted on July 8, 2012 by EditorDeb. It was filed under Uncategorized . Deb, I’d definitely vote for a few nights in Tulum. All the places you named are on our list too. We went to Chichen Itza in May 2002 and it was over 100 degrees at the top of El Castillo at noon. Jungle heat! I’d think inland would be fierce hot in August, so I’d skirt the edges and stay close to the sea. But then again, you’re a Texas gal, so you might weather the extreme heat/humidity combination better! Beck, I’ve been walking at least an hour every day just to get my body used to doing activity during the heat. When it all comes down to it, I might just end up holing up in one area on the shore. I guess we’ll see. Jana, you betcha I’ll be blogging on the trip. In fact, I can’t even imagine going on a trip anymore without blogging about it! How boring would that be?! Haha! 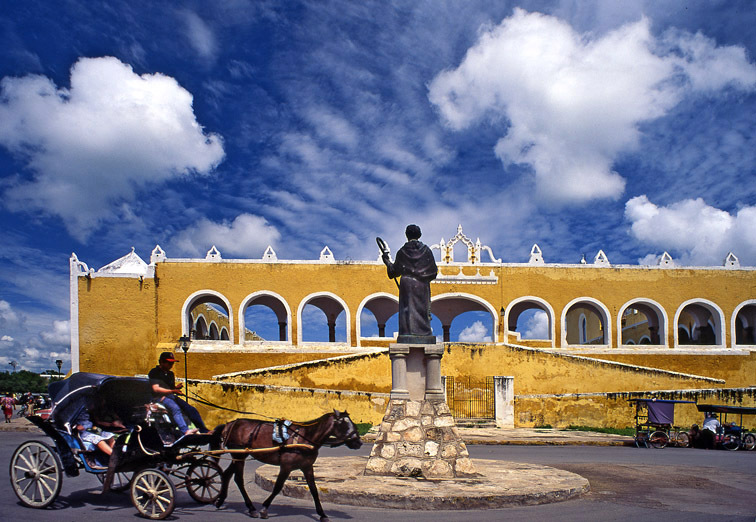 Progreso and Izamal are good choices.